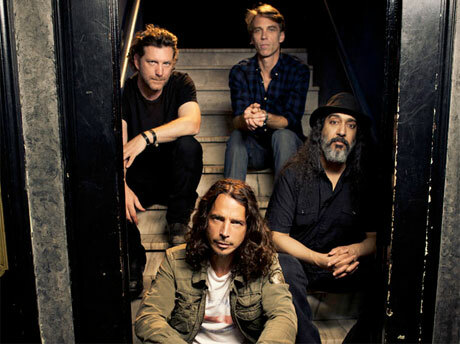 Reunited grunge heroes Soundgarden have previously promised that they are working on new material, and they even dropped a new single called "Live to Rise" on the Avengers soundtrack. Now, the group have confirmed that they have a new album on the way this fall. According to the latest issue of Rolling Stone [via Blabbermouth], the group are planning to release a new album on November 13. Guitarist Kim Thayil said, "It re-establishes that we still rock, we're still heavy, and we're still a little weird." One confirmed song title is "A Thousand Days Before," a track that apparently "has a little Indian thing and some chicken-pickin'," which has led the band to dub it "country and eastern," according to Thayil. Another new tune is called "Blood on the Valley Floor." The full tracklist and album title have yet to be revealed, but with the release date a few months away, we're bound to learn more soon. Perhaps the band's new material will be good enough to quash Billy Corgan's accusation that the band only reconvened for money?